A single swing of these mini travel versions of our zapper will eliminate flies, mosquitoes and other flying insects. Get rid of your old fly swatter and take the modern approach! Plug into any USB device to charge this battery operated fly swatter quickly and efficiently. With this high-powered stinger bug zapper at the ready, swarming bugs are a thing of the past! Zap day or night when you activate the built-in LED light on your electric bug zapper. The Zap-It is your 24-hour fly killer, mosquito killer or bug killer. It's the best bug zapper on the market! Press the activation button on your bug zapper racket, and an indicator light glows. Should you or others touch this powerful pest control tool while it's electrified, a triple-layer safety mesh protects you. A single swing of these mini travel versions of our zapper will eliminate flies, mosquitoes and other flying insects. Get rid of your old fly swatter and take the modern approach! Plug into any USB device to charge this battery operated fly swatter quickly and efficiently. 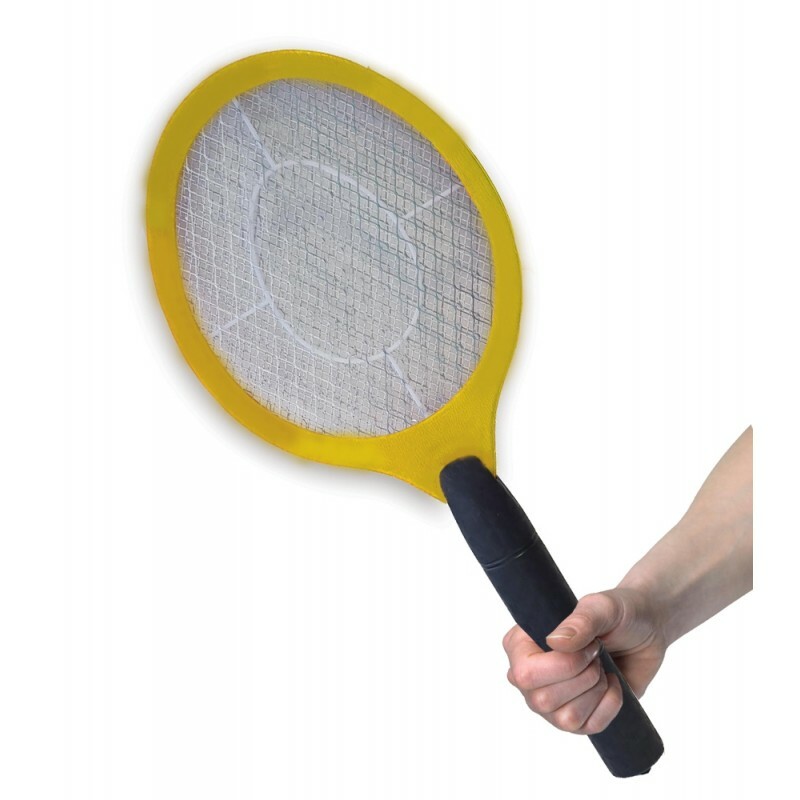 With this high-powered stinger bug zapper at the ready, swarming bugs are a thing of the past! Zap day or night when you activate the built-in LED light on your electric bug zapper. The Zap-It is your 24-hour fly killer, mosquito killer or bug killer. It's the best bug zapper on the market! Press the activation button on your bug zapper racket, and an indicator light glows. Should you or others touch this powerful pest control tool while it's electrified, a triple-layer safety mesh protects you.